Northern Cobalt (ASX:N27) has provided an update from its Stanton Cobalt Deposit in the Northern Territory. The company commenced its scoping study of the promising region on 2 January this year, with drill core samples from its diamond drilling program at the deposit arriving in Adelaide on 22 December 2017. Core inspection by the scoping study team commenced on 4 January 2018. The final preparation of the drill core for submission to a laboratory for assay is underway, with N27 expecting results from the diamond core in late February. N27 has appointed an independent geologist to perform a geotechnical logging of the core. The geologist will also assess the company’s geological logging moving forward and undertake a new inferred and indicated Resource Estimate in Q1 and Q2 of 2018. The company indicated that it had appointed Process Metallurgy as lead consultants for metallurgy and mining engineering for the scoping study. Further, AMC Consultants will perform peer reviews of both resource models and the in-progress scoping study, while ERIAS Group has been engaged to commence baseline studies for an environmental impact statement (EIS) at the site. The scoping study is expected to be finalised by the end of Q2 2018. Any scoping study news relating to N27 is speculative at this stage therefore investors considering this stock for their portfolio should seek professional financial advice. 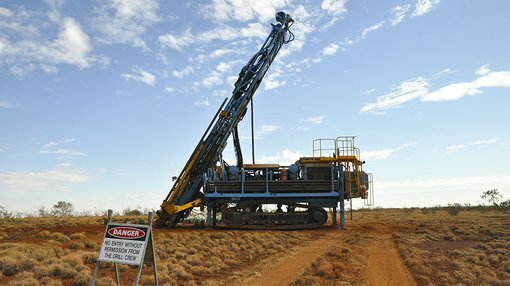 The Stanton Cobalt Deposit is located within the Wollogorang Cobalt Project, which is situated 870 kilometres south-east of Darwin. Over 110 drill holes have been completed at the project to date.